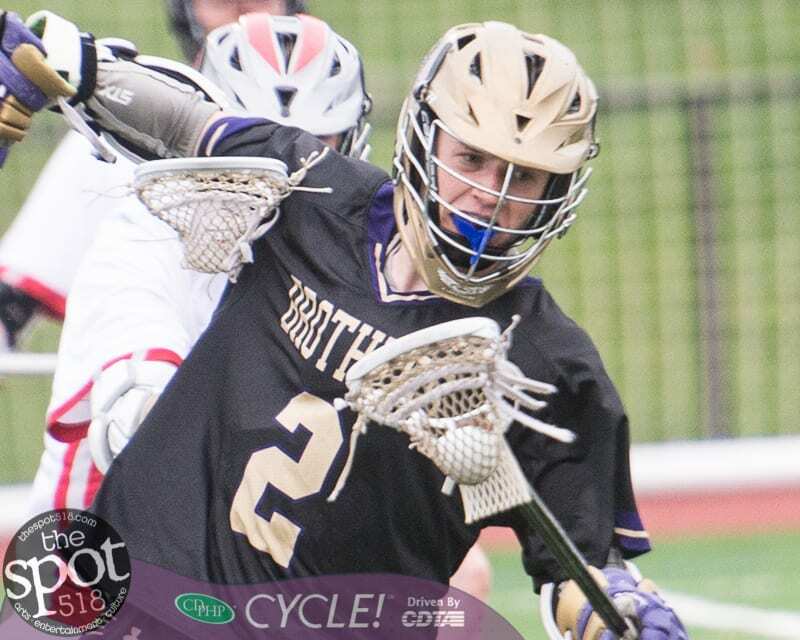 SCHENECTADY – CBA’s lax season came to an end at the hands of perennial powerhouse Niskayuna on Tuesday, May 22, by a score of 14-7. Nolan Aery had two goals for The Brothers in the Section II Class A semifinal matchup, while five of his teammates had a goal: Hunter Pemrick, Luke McMahon, Anthony Pizzola, Luke Anthony and Mike Pumiglia. Max Tedisco had a dozen saves in goal. Drew Collins had four goals for Nisky, while Tyler Gregory had three goals and two assists and Griffin King had two goals and three assists. Niskayuna will play Shen for the championship on Friday, May 25.